Product Description: Do you dare enter the lair of El Macho’s Lab by Mega Bloks Despicable Me™? You can build the Lab and the transformer chair to turn ordinary Minions into savage purple-haired monsters! 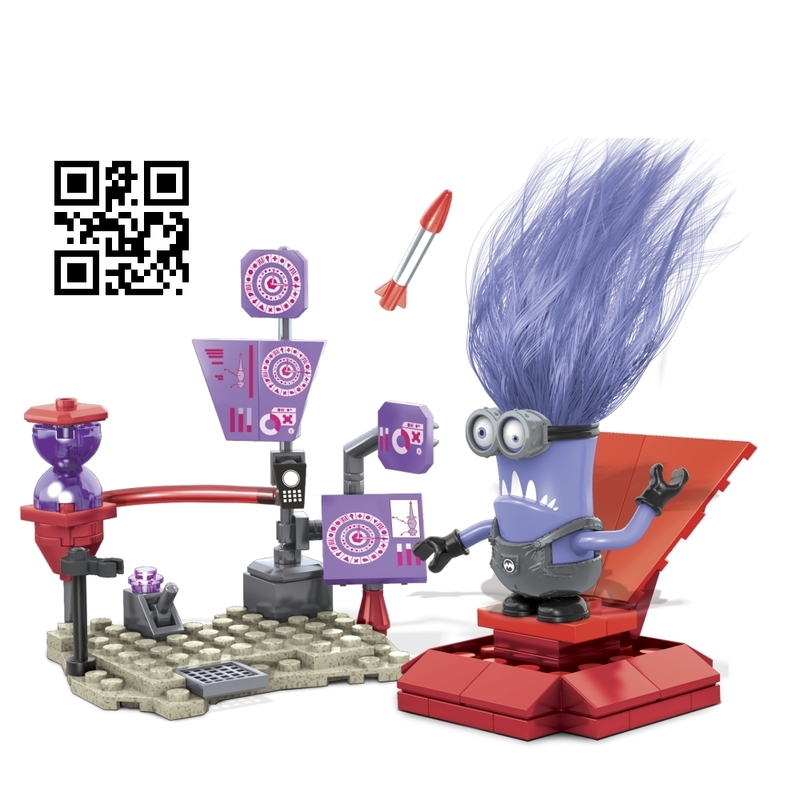 Put together the evil Minion and customize him with crazy hair and attachable parts. Features: • One buildable evil Minion character with interchangeable parts, including overalls, goggles, fuzzy hair, arms and feet • Fully buildable El Macho’s Lab with moveable rocket, transformer chair, and control panels • Collect them all and build your own mischief!